Camembert mit Preiselbeeren (Camembert with Cranberries) is yet another dish I got introduced to in Germany & started liking it. 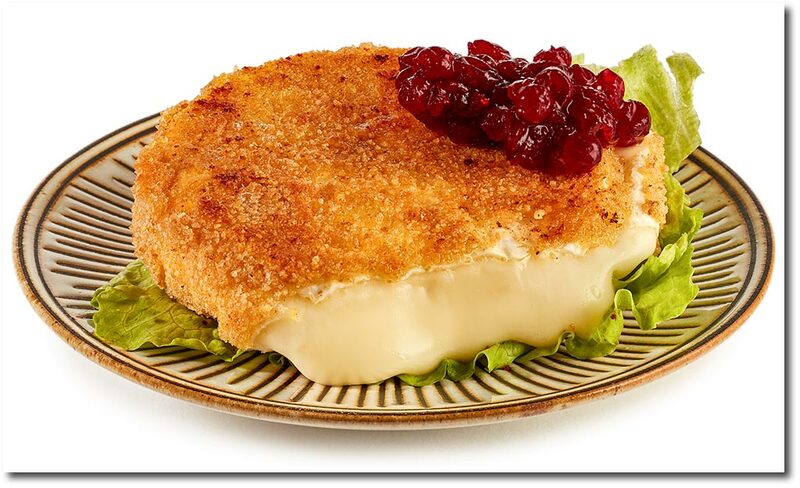 Baked Camembert taste goes well with the sweetness of Cranberries. It is more like Cranberry jam that comes as accompaniment. One can get ready to eat Camembert with Cranberries in super markets. All you need to do is bring it home, put it in the over as per the instruction and in few mts you are ready to relish it with Cranberries. I am not sure if I will enjoy the unbaked version of this cheese. Nevertheless, the soft cheese with the sweet berries is anytime snack for me! If you like cheese, give it a try. I’ve never had that. It looks delicious! I love camembert ! Baked or unbaked! So good! With a baguette and some smoke salmon.. Never tried. It with the cranberries, tnx. For the idea!